Charles Dickens. Arthur Conan Doyle. Murray Pura. Lisa Hall-Wilson. This is a short list of authors who began novels as a serialization. For Lisa Hall-Wilson publishing her novel The Watched as an on-line serial was a matter of reclaiming a work she felt strongly about, but couldn’t find a home among traditional publishers. To paraphrase Larry Norman’s famous line, her novel was too worldly for Christians and too Christian for the world. In The Watched Hall-Wilson creates a fantasy world in which good and evil are personified and belief in a omnipotent, omnipresent and all-loving God had been reduced to a small handful of faithful followers. Complete with its own language (for which she has thoughtfully included a glossary), the novel tells the story of Edric and his task to save Aralyn, whose gift of prophecy marks her as her race’s last hope. From the first paragraph the reader is immediately transported into Hall-Wilson’s world and is riveted by the events which unfolds. 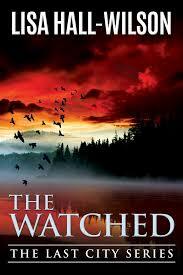 I’ve been a sci-fi/fantasy reader since my teens and The Watched was a refreshing take on an old theme. The world Hall-Wilson creates is as real as C.S. Lewis’s Narnia, J.R.R. Tolkien’s Middle Earth or Stephen R. Donaldson’s The Land. From the first paragraph the reader is immediately transported into Hall-Wilson’s world and is riveted by the events which unfolds. Into this world Hall-Wilson places characters the reader soon identifies with and cares about: Edric, the doubting protector; Aralyn the young prophetess who’s looking for love; and Barric, her father who is wracked with guilt. Each must overcome their own faults and failings as they strive to reach their homeland while staving off a relentless enemy. The serialized format of The Watched over the space of three-plus months, led to short chapters (at a guess, averaging between 700 to 1,000 words per installment). This led to the novel’s one weakness: truncated narrative and character development questions. Either a longer serialization or longer chapters would have allowed Hall-Wilson: 1) to further build the novel’s universe by creating fuller word pictures; and 2) more fully develop the characters by adding more backstory. Hopefully this will be taken care of in subsequent sequel(s). Cudos to Lisa Hall-Wilson for persevering and finding a way to get The Watched into the hands of readers. The result is well-worth reading. Clarification: Lisa Hall-Wilson sent the following to me via Facebook: “I didn’t create the ‘old language’ used in the book. I took a class in etymology in university and studied Old English (pre 1066) so that’s the language I use.” My apologies and thank you for the clarification. Thanks for the review, Robert. I appreciate the kind praise.